Welcome to my unique perspective on the world. 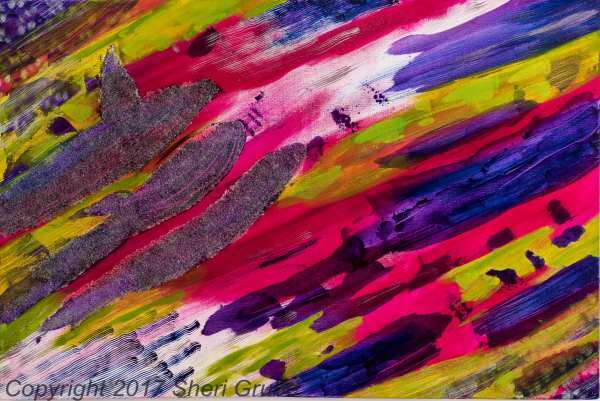 My name is Sheri Grube. Some of my art is very personal and details events in my life. My art talks when my mouth cannot speak of the abuse I suffered growing up. Art has helped me heal my mind. I strive to convey love, joy, hope, encouragement and excitement in my paintings. Please travel with me on my art journey. If you find a painting you love, please contact me to purchase it. After medical conditions took my ability to work away, I found making art comforting. My engineering brain easily connected to lines on canvas. I still enjoy researching science topics. The brain, our bodies, seeds under the microscope. Nature and the environment are also fascinating subjects. 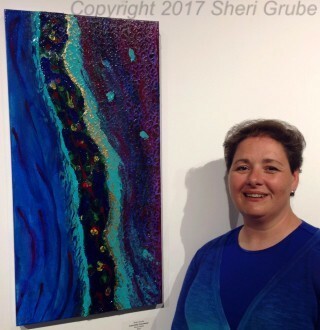 With my art I want to make others aware of different environmental concerns and medical conditions. What areas of the world would I save? How precious are these Paradises? When will we cure many diseases?